« Willkommen to Lansing’s Old Town Oktoberfest 2017! 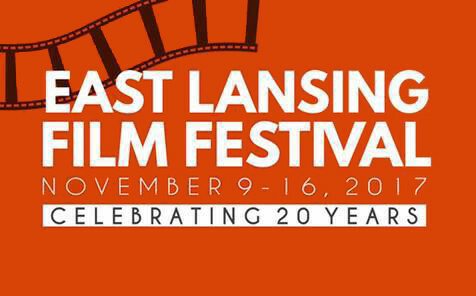 The East Lansing Film Festival 2017 combines the East Lansing Film Society Film Series, the 48/5 Film Contest, and the Lake Michigan Film Competition. This year will also see a series of special events commemorating the first 20 years of the festival. The festival remains one of the best ways to see thought-provoking, independent films, and meet people in the industry. East Lansing Film Festival 2017 is online at elff.com. Keep up with updates to this year’s schedule by visiting the site of the festival’s Facebook page. Top off your week of films in Lansing with stylish accommodations at the English Inn Restaurant & Pub! Our Lansing area B&B is located along the banks of the Grand River on the historic Medovue Estate. Come explore our lush gardens and historic country estate before settling into your plush accommodations at the inn. Best of all, we’re also an English pub and restaurant, so you wont have to travel far for some of the best food in the area! Plus we’re just an easy half hour’s drive from Lansing, MI. Why settle for less? Stay at the best: The English Inn Restaurant & Pub.